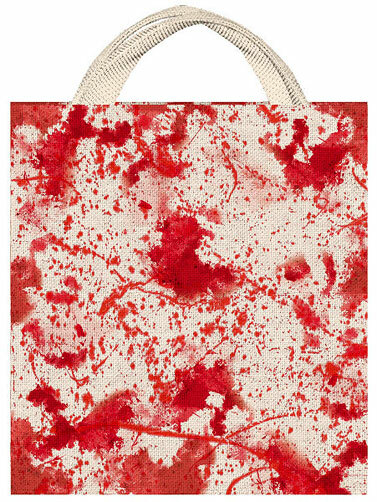 This Bloody Canvas Tote Bag make a great gift bag and is perfect for trick-or-treating. Great alternative to plastic bags, take one with you to pick up groceries around Halloween. Natural color canvas tote with a bloody print and fabric straps. Bloody Canvas Tote Bag measures 14.75"H x 13.3"W.